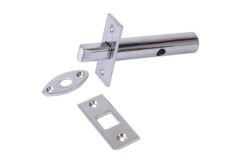 Mortice Rack Door Bolts are a type of secondary security and are ideal for installation on double or French doors. 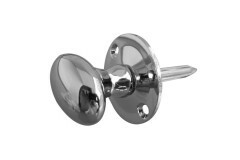 These Rack bolts shoot a bolt into the door using the key or the thumbturn, and in doing so offer an additional level of security on the door. 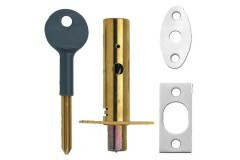 They are usually operated by a simple 'star' type key, so are best suited to providing secondary security and combined with other primary security options. 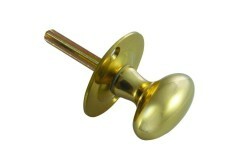 Carlisle AA33 Turn Knob is designed for use with mortice door bolts such as a Chubb 8002, Era 838 et.. 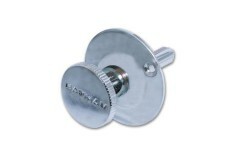 The ERA Door Security Bolt offers concealed security for all internal and external doors. 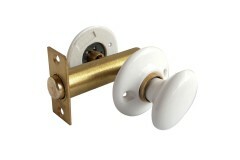 The separa..
Yale PM444 is a Suitable replacement for Chubb 8002 series Door Bolts. 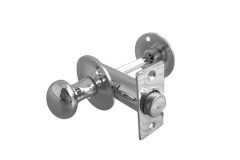 Yale PM444 are ideal for bac..
Banham Door Bolt Knob is a door bolt knob, it will only to suite the Banham R102 mortice door bolt .. 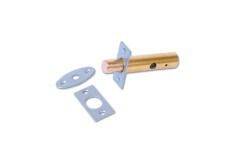 The Banham R102 Doorbolt mortice bolt. 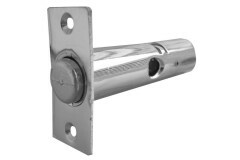 Mortice Rack Door Bolts are secondary security and are ideal .. 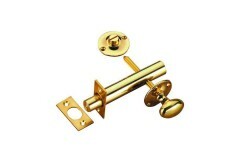 The Allart 525 Mortice door bolt and turn comes supplied with the 523 turn knob. suitable for instal.. 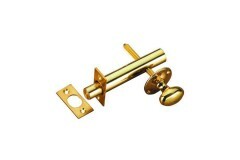 The Allart 526 mortice rack bolt is Supplied c/w 524 turn knob and release, and is suitable for inst..